Most people have "Vorurteile" = preconceptions about many things, including foreign countries. A "Vorurteil" is an opinion formed before enough information is available to form it correctly, and as a consequence, it tends to be based on stereotypes and clichés. What do you think are the most common German stereotypes? In my opinion: beer, cars and sausages. 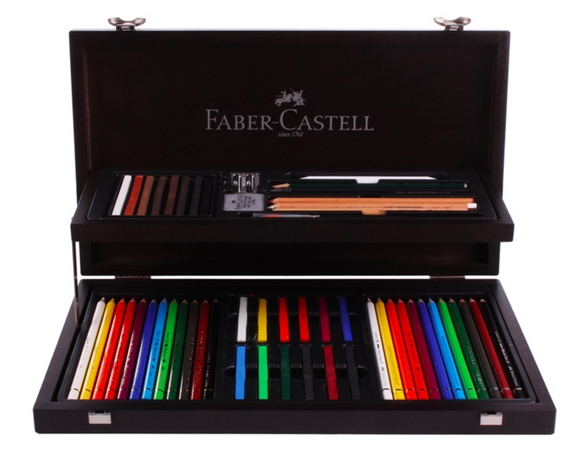 Or at least, these are the ones I had when I first visited Germany ten years ago. However, Germany is much more than its clichés. 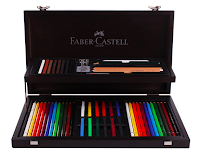 And this exactly what this blog entry is about: surprising products made in Germany. We use these products, we buy these products, we know the brands... but where are they from? they are German made and we don't know. But before I get into that, let's also review the classic trilogy of beer-car-sausage "Vorurteil" and some surprising facts around them. In the end, they are the top three most popular products made in Germany, aren't they? Germany is the fifth largest producer of beer in the world (95 million hectoliters in 2012) after China, USA, Brazil and Russia. It's also the third world largest consumer (over 110 liters per capita) after the Czech Republic and Ireland. Besides Germany is home of the most popular beer Festival: the Oktoberfest. Other countries have tried to copy it: the Oktoberfest in Las Vegas; in Norway or in Syracuse, however none has achieved the same success as the authentic one in Munich, which in 2013 registered 6,4 million visitors and 6,7 million Maß=liters of beer (article: more liters of beer than people (in German)). 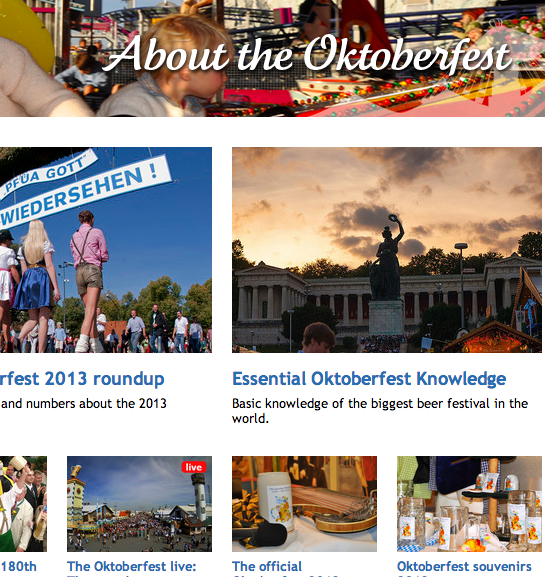 With this curriculum, nobody can deny that Germany is a beer country. My former German teacher used to joke about his car passion. He joked that he spent more time cleaning his car than bathing his own kids! I'm sure his stories weren't true but he had a point: cars are a big deal here. Above all if they are German made. Weißwurst, Bratwurst, Jagdwurst, Mettwurst,Blutwurst, Leberwurst...You name it. I'm really not a meat person, which doesn't mean that I don't eat meat, which I do, it just means that I'm not as carnivore as the Germans are. The meat consumption in Germany is astonishing and probably the reason that led to the stereotype: in average a standard household in Germany eats 36 kilos of meat (292€) per year and almost 50% are sausages. Aside from the quantity and the variety, die Wurst is important here. All over the country there are museums, clubs, competitions and traditions around it. Do you want some crazy examples? 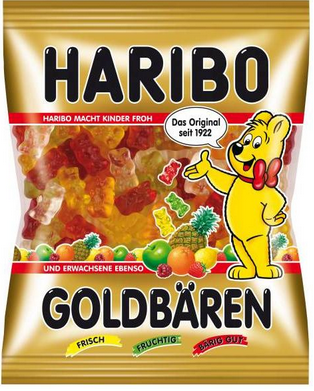 What are the most surprising products made in Germany? Envelops, office paper, printers, notebooks, filling cabinets... they are all made in Germany (at least their size has been established in Germany). The DIN is the acronym for "Deutsches Institut für Normung", which is the German national institution for standardization (=ISO). The DIN created the DIN standard that specifies the paper size (DIN A3, DIN A4, DIN A5, etc.) that is used all over the world, with the exception of US and Canada. During the World War II: Germany suffered from shortage of resources, including the ingredients used in the Coca Cola formula. The German factory however made the most of those difficult times and managed to create a new soft drink, made of the available ingredients during war. Once the drink was formulated, the factory organized a contest and invited the employees to look for a name for the new drink. And they found one: the new drink was "fantastisch" and "fantasievoll" (adjectives in German that mean fantastic and imaginative) and so the new drink was called Fanta. 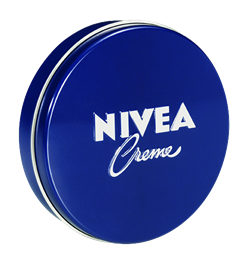 Many of us grew up with this round blue tin of creme. It's a classic of the skin care. 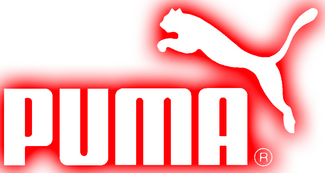 However very few of us knew that it's a German brand. Beiersdorf is Nivea's parent company, which was funded in the 19th century in a chemistry shop in Hamburg. These days they still have their HQs in Hamburg. In 1887 Felix Hoffmann was working for Bayer as he was researching for a pain reliever that could free his father from his arthritis pain. His work focused in the use of the acetylsalicylic acid as a pain reliever. He succeeded. 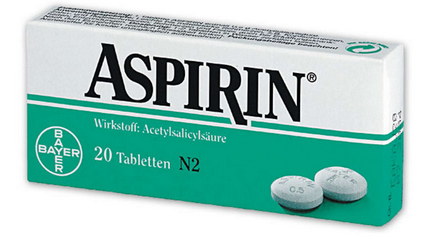 In 1899 Bayern applied for a patent at the Berlin office to register Aspirin as a trademark. Here's a very surprising fact: both Adidas and Puma are German and both were founded by two brothers in a small Bavarian town called Herzogenaurach. 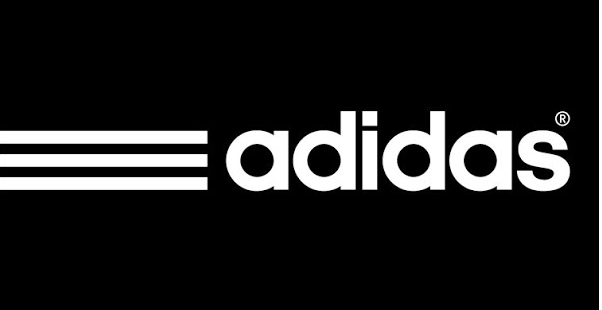 Apparently both brothers: Rudolf and Adolf "Adi" Dassler started to produce sport shoes in their mother's laundry after returning from World War I. The brothers reached a breakthrough when a US athlete won four gold medals in the 1936's Olympics wearing the brother's shoes. However what happened afterwards is not clear, aside from the fact that both brothers went separate ways, and so Puma and Adidas were born. In 1928 two German gynecologists: Selmar Aschheim and Bernhard Zondek created the first reliable pregnancy test in the history. 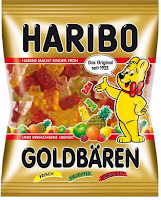 Do you know HARIBO and its gummy and jelly bears? Of course you do! His founder Hans Riegel created the company in 1920 in Bonn, the former German capital. 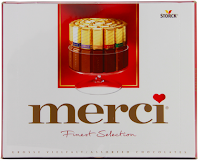 MERCI are one of my favorite chocolates in the world, and although they have a French name, they are German made. 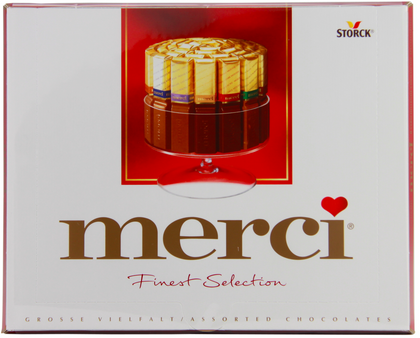 Merci belongs to Storck, a German company founded in 1903 that may be familiar to you because they also own the brand Werther's Original. The mp3 started as a project led by a professor and a group of students at the Fraunhofer Institute in Germany. The Fraunhofer is Europe's largest application-oriented research organization. Its HQ are in Munich and the Institute takes its name from Joseph von Fraunhofer, a successful Munich researcher, inventor and entrepreneur of the 18th-century. You listen to most music tracks today thanks to the team effort of the FraunhoferIIS group back in 1991 that developed the first mp3. your office suit, probably the most expensive one you own is Hugo Boss and is German! Unfortunately I ran out of time and space for this month. I'm sure you are thinking of at least two other surprising brands or products made in Germany that are not in my list... am I right? Let me know which ones you're thinking. Thank you mark and sorry for the delay! Birkenstock? really popular in the US? I'm in California since Nov and I haven't seen thema anywhere... I'll keep an eye though. Birkenstock are popular in the elder community of my town, however they much prefer socks and sandals. But I really love your Blog! This is very cool info!